This FLM ballhead is simple, elegant and traditional in appearance with a two-tone finish and features a large easy-grip knob for ball control, and an additional control knob for friction control. In addition, the head features a calibrated panning base, with independent panning lock. This version also features PTF (Patented Tilt Function). This means that when operating the tilting function the ball can only be rotated around its center axis. The ball joint is now locked and will only provide 2-D tilting operation. Manufactured in Germany to exacting standards, each component is milled from a solid block of aluminum and computer machined to tolerances within .01mm. Each FLM Centerball series ballhead is individually tested for assured smooth movement and lockdown strength. Box Dimensions (LxWxH) 4.5 x 4.5 x 4.25"
Centerball 58 FT is rated 5.0 out of 5 by 2. Rated 5 out of 5 by Lightrunner from Outstanding Head I was half way around the world using a large, sturdy head, which began to fail. I decided I would find one that I could trust that would not sag one bit when tightened. The FLM is definitely the answer. The buttery smooth knobs lock the head solid. If you prefer, the tension can be adjusted with precision so you don't need to move the knob to move the camera, yet it stays perfectly in place. Hands down best head I've worked with, by far. I don't expect to ever replace it. Rated 5 out of 5 by Anonymous from Nicely machined ball head Extremely solid, precise, well machined piece of gear. The knobs have a very smooth feel. Great value for money as well. Anything comparable costs upwards of $1000.00. Can other quick release plates, such as those from Really Right Stuff, be mounted on this ball head (without using the 1/4 inch screw - but by anchoring directly to the ball without the FLM plate)? 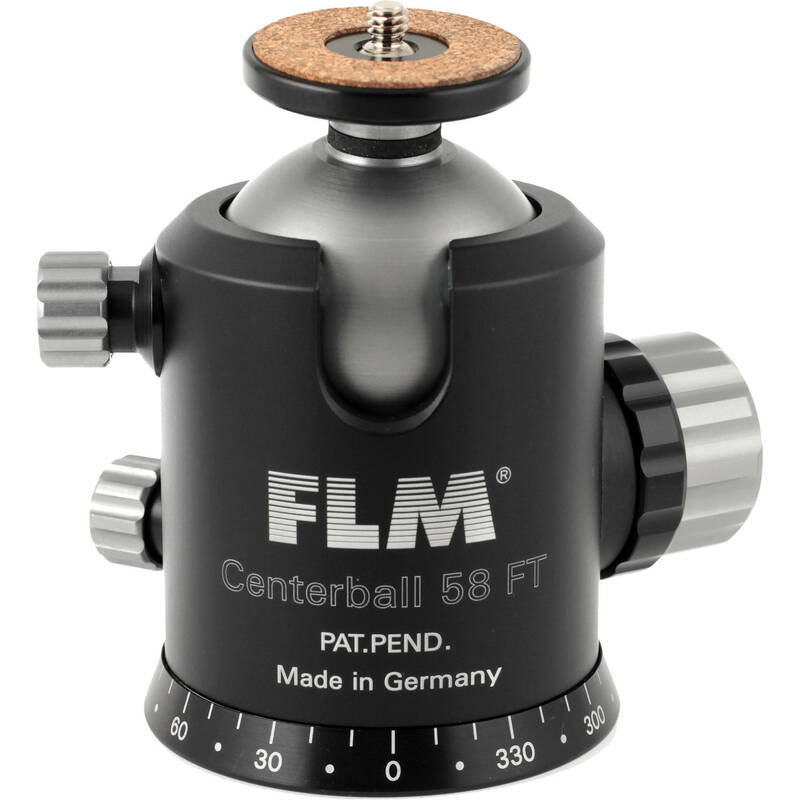 You will need a quick release plate adapter, as the FLM Centerball 58 FT does not come with a quick release system. Really Right Stuff quick release systems will be compatible with the FLM Centerball 58 FT.
What is the thread size on the top plate? 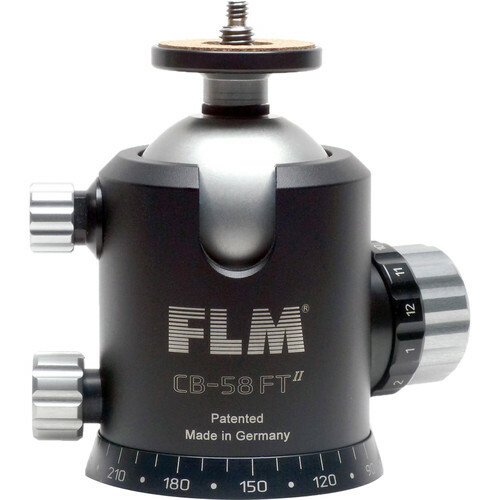 The FLM Centerball 58 FT ball head includes a reversible 1/4 to 3/8 camera thread.